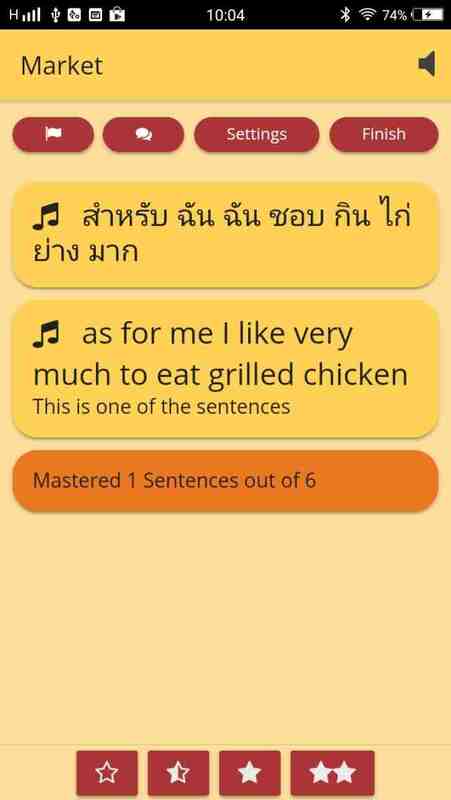 A Truly Simple Way to Learn to Speak the Thai Language Fluently. Babies and kids learn to speak and understand without much effort while gaining total fluency. Do they actively learn grammar or understand the sentence structure when young? Not consciously. Languages is being taught by parents the same way all over the world, in any culture, only by listening, repeating and speaking. So is in PluraLing. Parents introduce new content while increasing complexity as understanding grows. So is in PluraLing. Yes, you can learn grammar and tables if you wish. You can be a good linguistic. But if you want to be able to speak fluently right from the start... then welcome to PluraLing, a no-nonsense approach. PluraLing will teach you like a child, bypassing grammar, sentence structures and tables, letting you focus on fluency, giving you the tools to speak right from the start! It will adjust itself, listen to and react to your learning velocity. PluraLing starts simple but getting fast to your level and does so automatically using prioritizing algorithms that know what is considered simple or complex for you based on your knowledge and will increase or reduce complexity. PluraLing learns and keeps track of your learning style. It lives and breathes with you as you gain progress. You will encounter well-structured phrases at the right time frame that are just a bit above your current level, phrases you are ready to learn. This is not just a simple cards app but rather one that is based on your knowledge, prioritized, ordered and above all, always in context. your learning eco-system so that simpler-to-you phrases will be dismissed faster while a little more complex ones will be standing in queue for you. We've put so much logic, intelligence and wisdom in PluraLing to put you on the fast track so sit in your crib and learn to speak like a child. Hands-free mode is possible using your learning style and statistics to bring you the most accurate level of complexity. Above all, enjoy a natural ability to use the material you will have learned immediately in a real conversation from day one!